The Librairie de France, a beloved French language bookstore that has operated for 74 years from a store in Rockefeller Center, will close for good at the end of the month. "It is very hard to let go," said owner Emanuel Molho,73, whose father, Isaac, founded the store in 1928 and moved it to its current location in 1935. Molho said that his lease is set to expire on Sept. 30, and that his rent on the space had become too expensive. In fact, his proposed rent increase was three times what he pays now, up to an astounding $1 million per year. He currently pays around $300,000 annually. 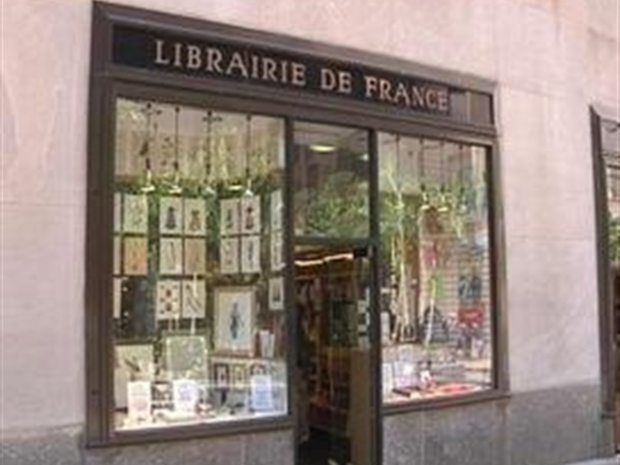 The Librairie de France in Rockefeller Center will close September 30th. "It's like grieving somebody who is slowly dying," Molho said of the closing. The store, which specializes in French books, also had a publishing arm that during World War II printed the works of more than 200 exiled writers including Antoine de Saint-Exupéry, the author of The Little Prince." Molho estimated that the shop presently carried about 10,000 title, said he will pack up thousands of books to take to his home on Sutton Place.